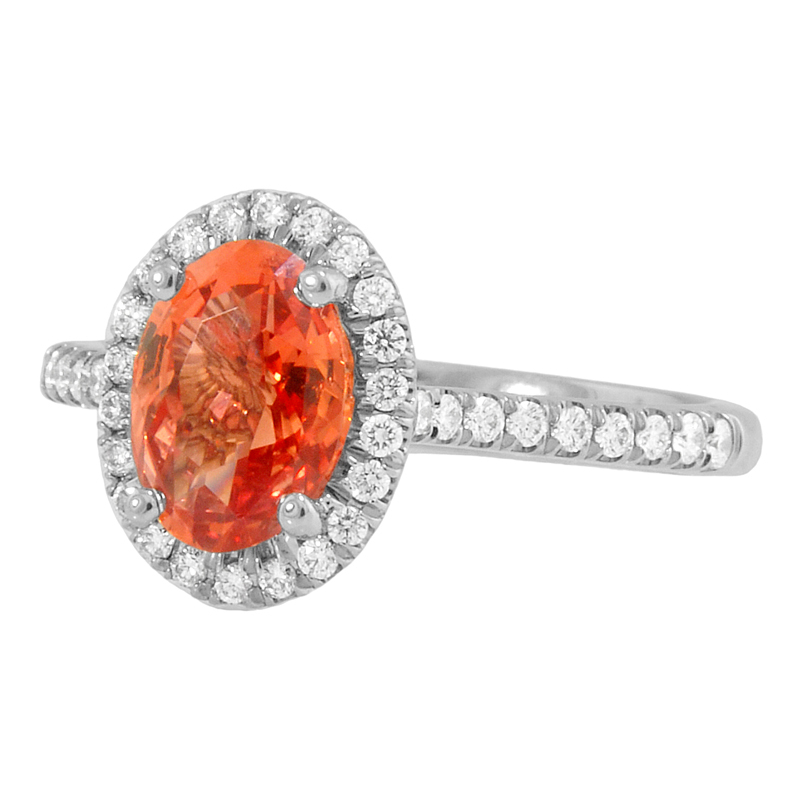 Padparadscha Sapphire is one of the most beautiful and valuable varieties of Sapphire. The brilliant sunset color of a Padparadscha Sapphire is a fusion between the fire of a Ruby and the light of a Yellow Sapphire. 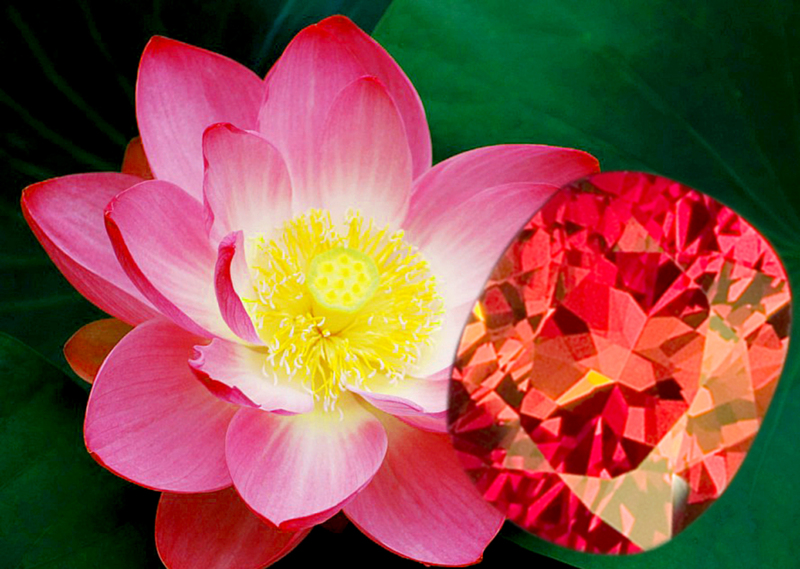 The name Padparadscha is derived from the Sanskrit word for the pink color of a lotus flower. Padparadscha Sapphire is found most commonly in Sri Lanka, Vietnam, Tanzania, and Madagascar. If you would like to view a Padparadscha Sapphire in person, this exquisite Padparadscha ring is on display in our Sapphire gallery at the Gem Collection.